Hello. I am very new to coding. I need a code/script to make enemies know where all the player location are and follow them (they do it automatically anyway?) Basically i need to make the AI know the location of all player and hunt them down, even if they where spawned in via script or already ingame. preferably in a loop maybe? so they get updated, i donno every 30 seconds? or more. Im very new and bad at coding, i tried reading up on it. but i failed. i tried google it, but to be real, i dont really know what to look for. Thanks. This is the last part of my mission to get it fully functional. How do I make a mod exclusively for sounds? Hello, I have been making missions for Zeus for a while, but obviously, importing sounds into mission files makes them really big. It's gotten to where players are sometimes stuck on Receiving Data because there's just so much to load (even though they have downloaded the actual PBO from my Dropbox). I want to be able to go back and have a 500 KB mission file, and have the sounds isolated. Do you know if there's a way I can make a mod exclusively for sounds? I want to use them selectively, such as a radio playing music and such. I want to isolate them from the mission file, but still be able to play them. Thank you! I figured it out, can this thread be deleted? I had to set the Zeus module owner. In case you missed it, we now have official Arma 3 Steam Workshop Collections for the Make Arma Not War winners, finalists, and all other entries! *Not all Make Arma Not War contest entries are available on the Steam Workshop. For the full overview, please go to http://makearmanotwar.com/entries. UPDATE: We've announced the winners! http://makearmanotwar.com/winners This Thursday, March 26, we'll reveal the winners in the â‚¬500,000 Make Arma Not War contest. EXCITED! Hello, all! In our small community (40 vs 40) we play custom made hardmode missions without respawn. To make games better I am looking for a script that will allow Platoon Leader to buy vehicles on start: 1. On start Platoon Leader have X points. 2. Platoon Leader can spend this points to spawn vehicles. 3. Every vehicle cost different amount of points, so Platoon Leader may choose what is better for current situation. 4. After Z minutes Platoon Leader loses the ability to spawn vehicles. I am a real noob in scripting. Looking for help or script. After many months of hard work by the contestants, the submissions in the Make Arma Not War contest have now been closed. Thanks everyone for participating and stay tuned! Dear Make Arma Not War contestants, After analyzing the submitted entries in the Make Arma Not War contest, we noticed that many contestants had not correctly submitted their data (around 50 entries) - even though some of these entries were marked to be in beta or even gold state. Although we have tried to communicate the correct submission method as clearly as possible, we recognize that some of our messages might not have gotten through - or that some of the contestants might have simply misunderstood. Therefore, since this involves such a significant number of entries, among which several that have attracted a high number of supporters, we have decided to temporarily re-open the submissions for existing entries in the Multiplayer/Addon/Total Modification categories (does not apply to the Singleplayer category). This will give every contestant in these categories the chance to correctly submit their data, or if you have already submitted your data correctly, to submit updated data. All in all, we have carefully considered the pros and cons of this decision, and we fully understand this might upset some of the Make Arma Not War contestants. However, as ultimately the point of this contest is to highlight quality community content, we feel this is the best way forward. Instructions regarding the re-opening of submissions can be found below. IF YOU ARE COMPETING IN THE MAKE ARMA NOT WAR CONTEST, BE SURE TO CAREFULLY READ THROUGH THE FOLLOWING INSTRUCTIONS. INCORRECT SUBMISSION OF DATA WILL LEAD TO DISQUALIFICATION! Who can re-submit? Every registered entry in the Multiplayer/Addon/Total Modification category of the Make Arma Not War contest can (re-)submit their work. The situation does not apply to the Singleplayer category - here nothing has changed. When can I re-submit? We will re-open submissions from today up until Sunday December 14th at 23:59 GMT+1. How should I re-submit? If you decide to re-submit, you will need to upload your entry files to a shared folder on the Make Arma Not War Dropbox. There are two ways to request access to this Dropbox folder: You can log in to the Make Arma Not War website, and click on "Request Re-submission Dropbox Access". You will then be given access within one business day. You can request access by e-mail via manwar_dropbox@bistudio.com. Please do not forget to include your entry details, such as the entry ID, the e-mail address tied to this entry, and the entry's name. You will then be given access within one business day. Please note that the login details to the Dropbox folder will be sent to you by e-mail from no-reply@dropbox.com. If you have not received anything after one business day, please make sure to check your junk/spam folder, or contact us at support@makearmanotwar.com. Arma 3 recently received a platform update. What about possible compatibility issues? Attention! All of the Make Arma Not War entries will be reviewed using Arma 3 version 1.32 (pre-Helicopters DLC update). You can access this special 'Make Arma Not War' build via Steam using the instructions below. Make sure to develop your entry for this version of the game, and make sure your entry works with this version of the game! MANW build activation I do not want/need to update my entry. That is perfectly fine, this is not mandatory. If you have correctly submitted your work the first time, and do not want to update your submitted data, just sit back and relax. I have provided a public download link, so you can download the data from my website. Is that enough? No! Just to make sure it's clear, the only accepted method of submission is by uploading your data to the Make Arma Not War Dropbox (or the Arma 3 Steam Workshop - depending on the category/entry). Currently missing entries There are a number of entries which we do not have in our repositories. We would like to kindly ask the respective authors of the following modifications to make sure their work is submitted correctly. List of missing MANW entries When will you announce the finalists/winners? Due to the re-opening of submissions, the Make Arma Not War team and the jury members will consequently need extra time to properly review all of the entries. As a result, instead of the beginning of December, we now plan to announce the Make Arma Not War finalists in January 2015. The announcement of the winners is currently scheduled for the end of March 2015. I have more questions/I need help. If you have any questions, or if you need any help, please do not hesitate to contact us at support@makearmanotwar.com. In conclusion, we would like to apologize for any inconvenience this might cause. However, we hope you will understand the motivations behind this decision. This contest is meant for the Arma community, and we feel this is the right course of action to maintain the spirit of the contest - despite the extra hassle that comes with it. We hope that all of you will seize the opportunity to make sure your entry makes it to our repositories, and also to fix all the little issues that had slipped the net. Good luck to everyone - we look forward to the results! Bohemia Interactive and the International Committee of the Red Cross (ICRC) today shared a to raise awareness for the topic of â€˜Health Care in Dangerâ€™. In the video, Christian Rouffaer - head of the ICRC's international humanitarian law and video games project â€“ discusses his role at the ICRC, the ICRCâ€™s Health Care in Danger campaign, and the connection with Bohemia Interactiveâ€™s â‚¬500,000 Make Arma Not War contest.The ICRCâ€™s Health Care in Danger campaign, which is part of the organizationâ€™s many efforts to protect victims of war, aims to address the current violence against the health care sector - ranging from direct attacks to patients, medical staff and health-care facilities and medical transports, to denial of access to and forced entry and looting of health care facilities. The campaign was launched as a response to an uprising of illegal and violent acts that impede or prevent health care delivery. Aside from developing practical solutions to improve the safety of health care, the ICRC is also committed to raising public awareness for the problem. This led to the unique collaboration with video game developer Bohemia Interactive, who is well-known for its award-winning ArmaÂ® military game series. Looking to create a change in virtual reality which can hopefully be carried into the real world, the two parties set up the Health Care in Danger Special Award as part of Bohemia Interactiveâ€™s â‚¬500,000 content creation contest for Arma 3. Given to the entry which covers the topic of â€˜health care in dangerâ€™ the best, the winner(s) of the award will go on a one-week trip to an ICRC mission in a foreign country, organized by the ICRC. â€œWeâ€™re looking for game content where medevac procedures are more complex. For example, a game mod where providing first-aid to a wounded enemy would be rewarded - or new hospital, ambulance, medical personnel and equipment models, which other players and mission builders can use to enrich their gameplay. We believe that you can get inspiration from many real-life stories from past and present conflictsâ€, said Christian Rouffaer, who also represents the ICRC in the Make Arma Not War jury. The winners of the Make Arma Not War contest, including the winner(s) of the Health Care in Danger Special Award, will be announced on January 15th, 2015. More information about the Make Arma Not War contest, the rules, prizes, and categories is available on www.makearma.com. A written interview with Christian Rouffaer about the Make Arma Not War contest can be found at http://www.makearma.com/interviews/icrc-hcid. For more information about the ICRCâ€™s Health Care in Danger campaign, please visit www.healthcareindanger.org. How to get smooth texture transitions? I got 1024 x 1024 x 4m terrain. Satmask and satimg both 2048 x 2048. Satellite/surface (mask) tiles settings as 1024 x 1024 with 16 px overlap. Texture layer size 4x4m. Satmask consists of only two colors green for grass and yellow for gravel. And i get these ugly sharp texture transitions: http://imgur.com/cXiQg4y Tried searching for clues how to improve this but I couldnt find any helpful relevant information. Solid advice and wild guesses all welcome and appriciated. Addon/modules for creating Alternate Game Mode Help. I feel the need for having preset addons for individual portions of variables. Life based mods are becoming a popular thing and since the game doesnt currently have any of the parts needed, I would like to see something that will aid new developers to the platform to create new mods based on their preferences. Example, a Project Im wanting to work on needs the following. Hunger, Eating, Dehydration, drinking. Those are the main ones that are common in popular mods, other popular mods use a bank system and payroll. Police functions like restraining, stuns, searches, tickets, prison, and so on. Bank and gas station robbery. Jobs like fishing, and foraging for things like apples to drugs. Licenses, and permits. All sorts of different aspects of game play that are not part of the vanilla game. However not every mod needs all of the above and some may want all. For the most part someone could just copy what they see on a server online and make some tweaks, but thats a simple form of piracy. To facilitate this, I would like to see each of the basic functions like "Cop Mod" or Food, water, banking, paychecks, and so forth as seperate addons or modules or just mod folders that can be added simply to a map. I am new to scripting for this game, and dont have the time I would like to spend learning the ins and outs of scripting. I would just like to drag and drop folders in, then link them thru an init file to get them active. Im sure others would like this as well. I try searching for scripts, and end up finding a ton of information on cheats, which I do not want to even see cheats much less use them. I have even posted looking for someone willing to help create a program that would build an init file based on the examples above, and then copy the files needed into a new mod folder. This would be awesome. I am starting on this project now, but most of what Im doing is learning and relearning to do visual basic to create a GUI that will let me insert premade scripts into and able to save a SQF file thats able to be seen in the mod. 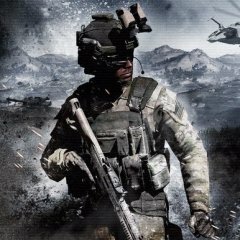 Based on public feedback, we made two small but important changes to the Make Arma Not War contest rules: We rephrased the "Registration" section to make it clear that Bohemia Interactive does not intend to publish or adapt the contest entries (it will always remain the IP of their respective author). We're now also allowing contestants to benefit from the unique functionalities of the Community Based Addons (CBA). However, note that CBA is still the ONLY third-party addon which is allowed. The updated rules can be found here. Hi everyone, I'm working on Scar-H, will follow the Scar-L and the other member of the family. https://imagizer.imageshack.us/v2/960x540q90/7/198i.png (208 kB) But I have a problem in texturing; I'm using Blender to unwarp and a place the texture then import it (.obj) in Oxygen, no problem for the moment. But when I try it in Arma III, I have a error message :" Can't load the texture " So I do something wrong ( "you don't say ..." ) but what ? This is how I proceed : _Apply texture in blender with a PNG or JPEG image _Export the textured weapon in.Obj _Convert the Jpeg or PNG in a .paa format with the same name and put it in the data file of wepaon. _use Oxygen _use binPBO personal edition Could you please tell me what am I wrong ? PS: This isn't a import from ARMA II in ARMA III. 2 or 3 mods offer already a scar but i'm trying tho have the most accurate representation of the FN SCAR(belgium).